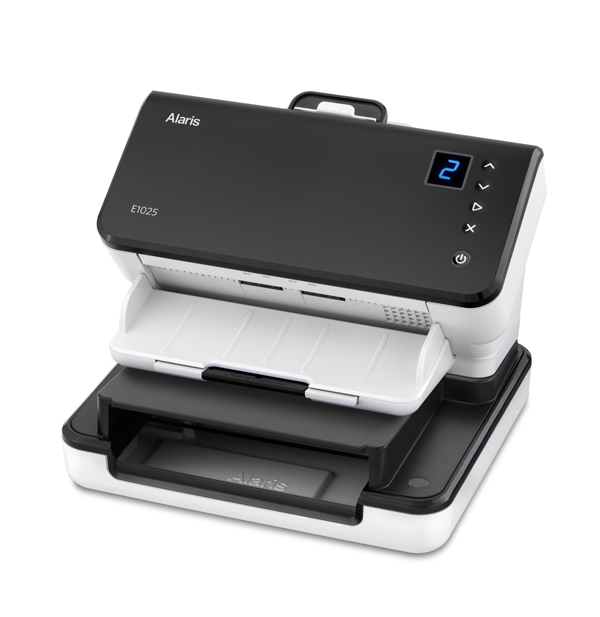 Packing all the intelligence of a larger device into a streamlined, desktop scanner, they are targeted at small office/home office environments, reception areas and workgroups. Productivity-boosting features include the ability to power up and start scanning in less than 10 seconds and fast throughput. The E1025 and E1035 models scan at speeds up to 25 pages per minute (ppm)/50 images per minute (ipm) and up to 35ppm/70ipm, respectively. They are easy to set up, enabling users to scan right out of the box and integrate with existing business processes and applications, from network to Cloud, through Alaris Smart Touch Software. Alaris E1000 Series Scanners are backed by a one-year warranty and repair and maintenance services to optimize uptime and productivity. Built-in Perfect Page technology dynamically optimizes the image quality of every page for more accurate information extraction, often delivering higher quality images than the original. The new E1000 Series Scanners also support barcode reading in the box, providing accurate read results every time. Alaris scanners and software are designed to work together. The E1000 Series comes bundled with Alaris Smart Touch Software. 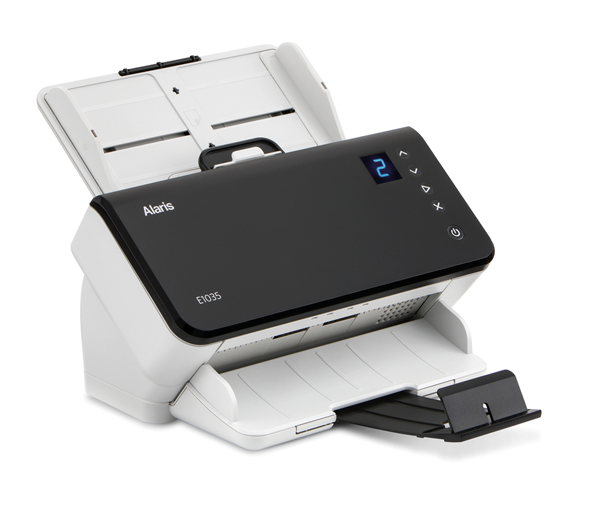 Offering one-touch simplicity, this technology simplifies scanning, accelerates document retrieval and improves productivity and collaboration. Smart Touch functionality eliminates complicated multi-step scanning processes. It features an intuitive icon-based interface that makes it easy to get the right information to the right place. Users can configure up to nine different functions to suit specific scanning needs, automatically attach scanned documents to an email, create image only or searchable PDF files, scan documents into multiple file formats, and send to destinations including Microsoft Office, Adobe Acrobat, Microsoft SharePoint and cloud destinations. Alaris Capture Pro Software and Alaris Info Input Solution, to further improve productivity and automate workflows, are available as one-year subscriptions in addition to existing perpetual licensing options. “As part of Alaris’ ongoing investment in taking complexity out of information capture, we are pleased to announce the latest innovation in desktop scanning,” said Don Lofstrom, President and General Manager, Alaris, a Kodak Alaris business. For more information, visit the Alaris website.